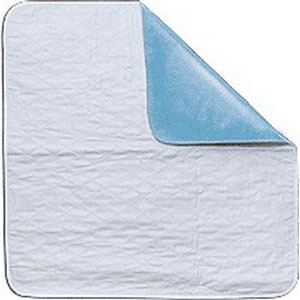 Cardinal Health Essentials Reusable Underpad, 34" x 36"
Cardinal Health Essentials™ Reusable Underpad, 34" x 36"
34" x 36" Reusable Underpad, Ibex quilted. Non-slip, waterproof, PVC backing. Moderate absorbency 8 oz. soaker. Machine washable. Cardinal Health Essentials Reusable Underpad 34" x 36"